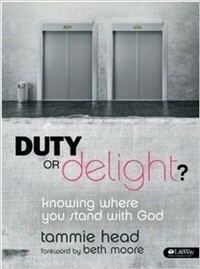 Duty or Delight? Knowing Where You Stand with God - Member Book is a women's Bible study with six weeks of study. Free supplementary video are also available. 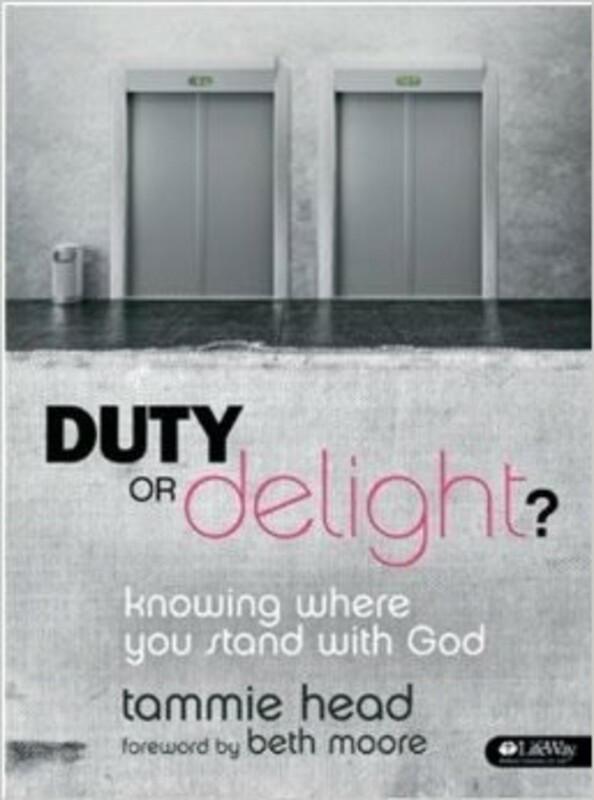 Author Tammie Head leads you on a journey of taking your relationship with God from a duty to a delight. This is a subject she's lived, and you will enjoy her candid transparency." Why do I feel guilty all the time? Why can't I seem to grow more spiritually? Join Tammie on a journey to overcome spiritual insecurity using six foundational truths from Ephesians 1:3-23. You will discover the beautiful news that God has not only chosen you for a deep, soul-satisfying relationship but He also constantly supplies everything you need to know Him this way. If you've been longing for a deeper relationship with God, this study is for you!